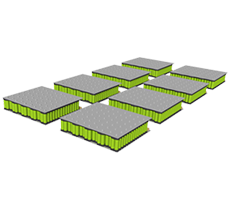 CONCHIFERA battery modules are constructed in a modular way and available in many different sizes and shapes. The rated voltage can be varied over a broad range. 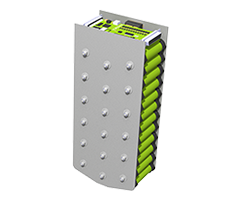 Each battery module is equipped with an INVENOX BMS. 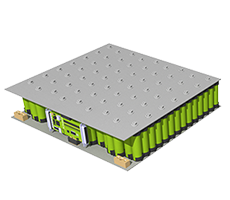 We are happy to elaborate an individual solution with you, precisely for your application – whether prototypes or mass production – just contact us. Complete Systems. We render it possible. 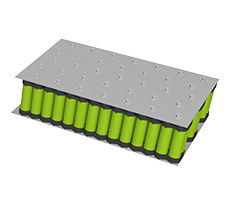 n addition to battery modules, INVENOX also offers corresponding peripherals and complete system solutions for battery storage. This includes, for instance, the dimensioning and the design as well as the construction of housing, wiring, high voltage interconnection and additional electronic components. As needed, we can also assist you regarding the communication between the battery and your system via CAN. Whether it is a prototype or a series product – we happily discuss the possibilities with you personally and provide you with a non-binding quote. Powertrain. From a single source. 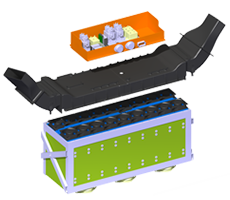 To satisfy your expectations towards a complete, perfectly working powertrain for your application, INVENOX offers a well matched all-in-one solution including battery storage system, controller unit and electric motor. For this purpose, INVENOX obtains selected products of renowned manufacturers and merges them to a fully integrated complete system. 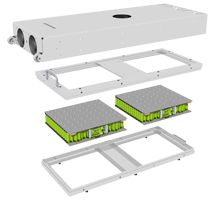 The selection of the individual components and the design of the overall system is closely aligned with you and the application’s requirements. All communication signal transmission as well as the electrical and mechanical sizing are customized individually to your application to ensure a safe and easy vehicle integration. Service & Warranty. Good to know. We are there for you even after your purchase. INVENOX offers comprehensive maintenance and service options to keep your system healthy and sustainably operational. Therefore INVENOX grants a comprehensive and long-term warranty for steadily maintained systems. We will happily send you an individual offer – just contact us.